We have just finished setting up our rope﻿ barcode tracking system for all new halyards and sheets with custom splicing work. This allows us to track the rope batch numbers, production dates and splice type etc using our dedicated database. 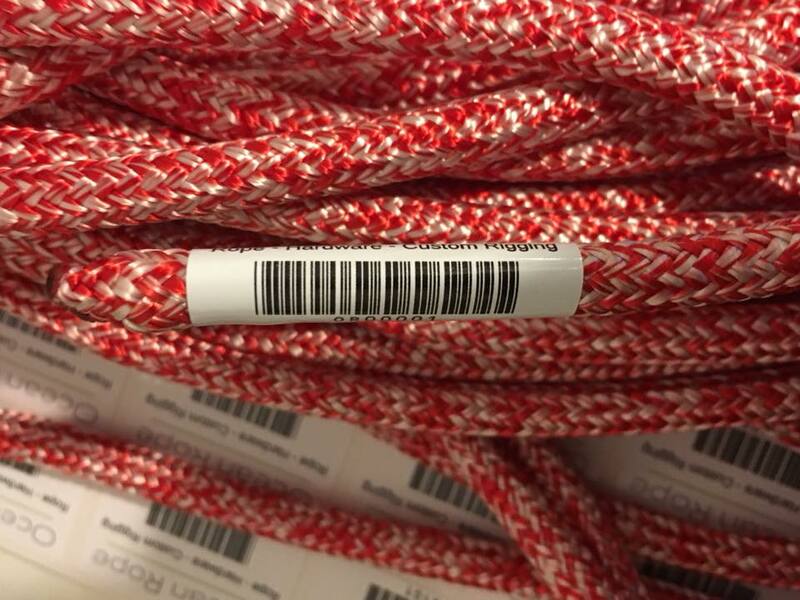 When it comes to replacing a sheet or halyard supplied by us we can easily search all the details using the barcode information. This makes the replacement process much easier for the customer. We can also search against similar projects we have carried out to advise on lengths and also splice terminations perviously used.